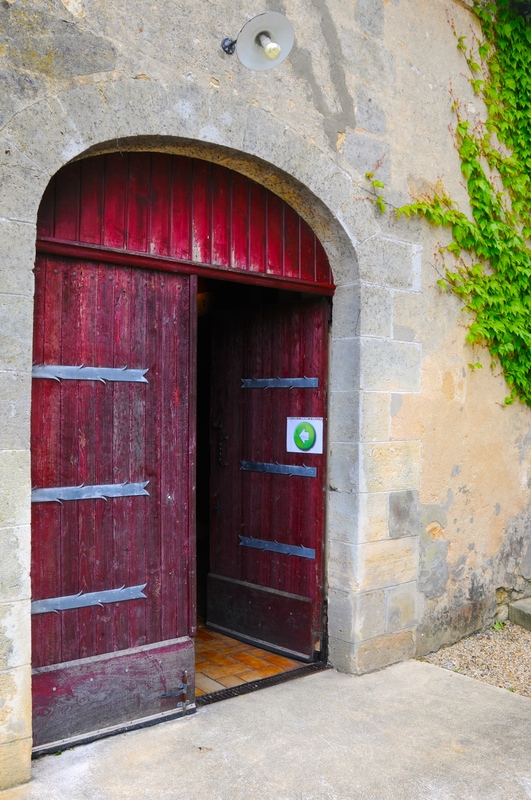 For two days in May, more than 50 winemakers threw open the doors to their châteaux in the Bourg-sur-Gironde (Bourg) region of southwest France. 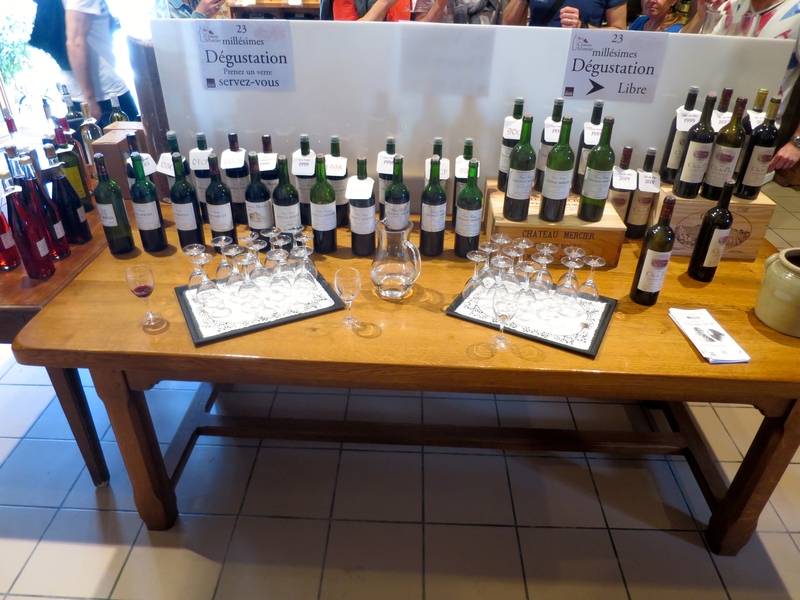 The Bordeaux Côtes de Bourg appellation bills itself as the ‘spicy side of Bordeaux.’ All wine tastings were free. Producers ranged from garage winemakers to established vignerons in ancient stone chateaux with designer-lit barrel rooms. 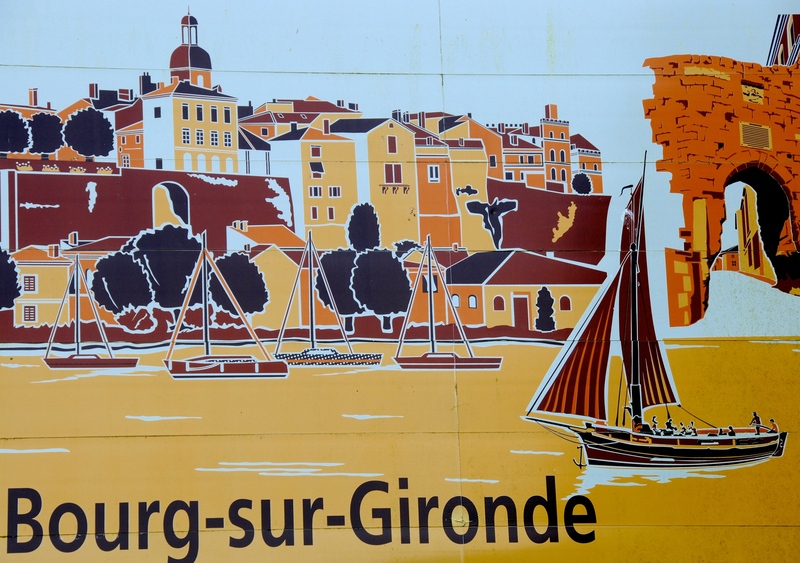 The little city of Bourg (population of a few thousand) sits 35 kilometers (22 miles) north of the city of Bordeaux, before the waterfront confluence where two mighty rivers – the Dordogne and Garonne – merge to form the Gironde estuary. 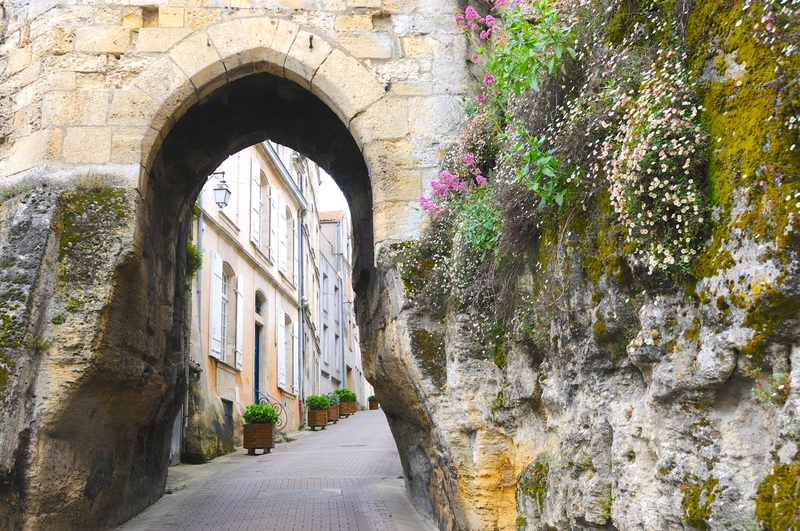 Built by Romans and later reinforced by the English, various heads of state and royals have historically visited Bourg while they moved along Bordeaux’s right bank (east of the Gironde). This is intrinsically slow and leisurely wine country, dotted with small villages wrapped by vineyards. Like the adjacent wine appellation Blaye-Côtes de Bordeaux, the Côtes de Bourg wine appellation is largely unknown on the international scene (though known throughout much of France). In the 13th century Bordeaux’s left bank Médoc was a swampland, while the right bank region – including Blaye, Bourg, and St. Emillion – produced well-recognized wines. Still, this general ignorance about this region is also quite wonderful. We appreciate fewer visitors to this rich and expansive wine country; having local, well-established chateaux that lack bustle or hype is one bonus of living here. Here the quality for price ratio is galloping ahead. 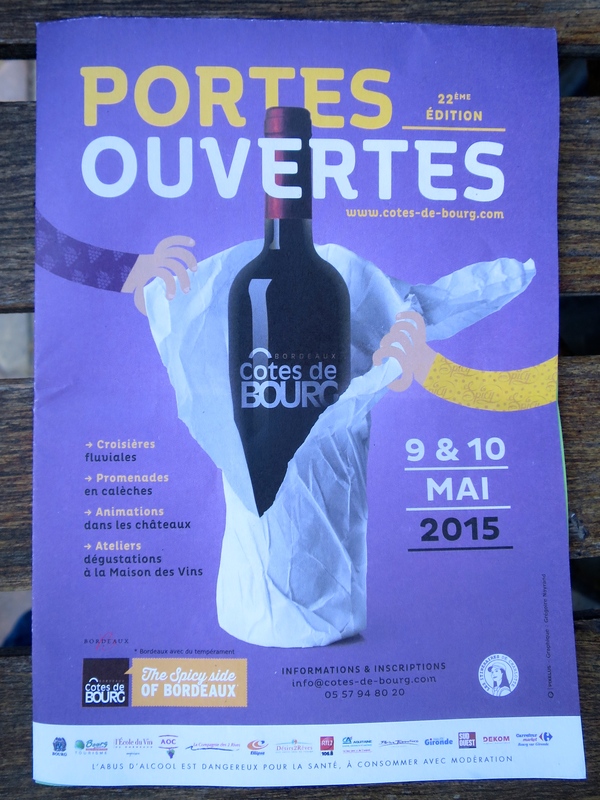 Today, 85 percent of Bourg wines are sold within France. The prices are reasonable (of dozens I tasted, the most expensive cost less than 24 Euros a bottle). Most of the 400 producers here are typically ‘mom-and-pop’ family operations with vineyards of less than 10 hectares (25 acres) in size. Visiting any single chateau for just a tasting instead of a tour still involves getting to know the vigneron and not being in a rush. Then there is lunch. Ah, lunch. 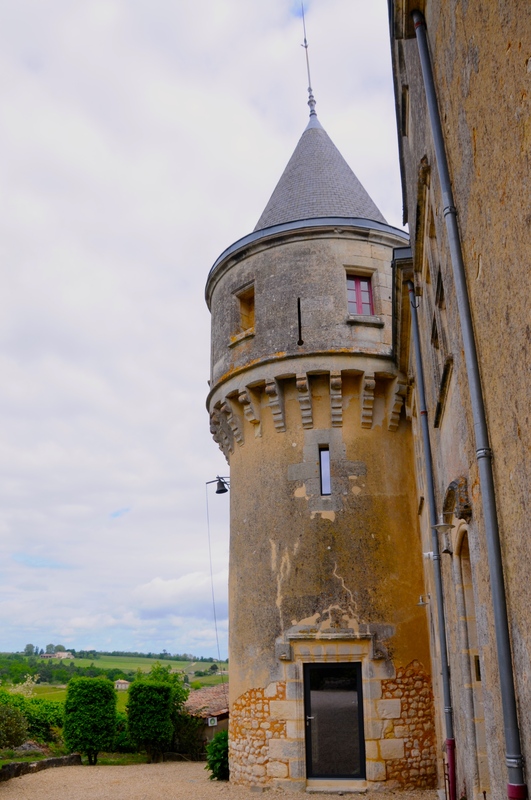 We ate outside Château Mercier on Saturday (which served wines from 23 different years, below a French sign which simply read – ‘help yourself’), and at Château Gros Moulin on Sunday. These meals included salads, entrecôte (steak), canard (duck), foie gras, and rivers of Sauvignon Blanc based white wines, rosés, and sumptuous reds (the number of hectares dedicated to white wines is less than one percent of the total Bourg vineyard area). A typical blend here will include 67 percent Merlot, 18 percent Cabernet Sauvignon, 10 percent Malbec, and 5 percent Petit Verdot. Whites typically include 41 percent Sauvignon Blanc, 23 percent Colombard, 23 percent Semillon, 8 percent Muscadelle, and 5 percent Sauvignon Gris. The reason for being called the ‘spicy side of Bordeaux’ is because the percentage of Malbec grown here exceeds that within any other Bordeaux appellation, and that percentage is growing. We also tasted some rocking 100 percent Malbec rosés in this region. * For more information on this proprietary value scoring algorithm, click here. We’re looking forward to your visit to the region sometime soon…. Glad you introduced us to the fine wines on the Right Bank – they’re my favorites now, no question! Merci! Great! Glad you enjoyed…and were such an adventurous taster….the quality of some of these wines is excellent, and the price? Can’t be beat.